This short film was shot on location in New Zealand. It documents the life and research of Dr. Ingrid Visser. From a very young age, Dr. Visser developed a passion for orcas and has dedicated her life to helping these amazing mammals in every possible way. 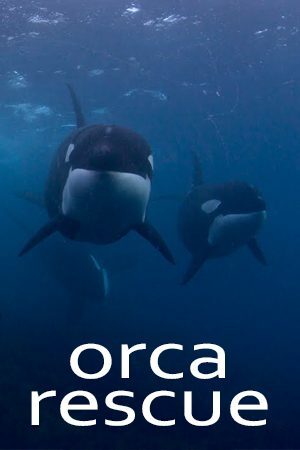 She believes that young children hold the key to many of the changes that we so desperately need in society, and spends a lot of her time going to schools and talking to them about the need to protect and respect the orca. Dr. Visser is an advocate for modern solutions in order to release orcas from captivity and help them become re-adapted to life in the ocean. Dr. Visser often leads rescue missions to save orcas in the wild from shallow waters or from entanglement in fishing lines. For Dr. Visser, there are so many parallels between orcas and humans that it’s almost uncanny. Just the fact that an orca fetus in its early stages of development is almost indistinguishable from a human fetus, is mind blowing. Orcas have the largest brain for its body size than any other animal in the world and recent studies have found that there’s a part of the orca’s brain that’s linked to empathy and compassion. Orcas are the ultimate predators. They have earned this title because of their superior intelligence when it comes hunting. They have been known to eat other predators such as sharks for breakfast and have been observed working together as a team to catch their meals. Ironically, there have been no reports of orcas in the wild attacking humans. In fact, they seem to be fascinated by us. However, through the years there have been over a hundred reports of such attacks occurring with orcas that live in captivity. A large percentage of those attacks occur during show times. Dr. Fisher dreams of a day when people will no longer pay to watch these beautiful creatures perform for a crowd after being forced to live in a concrete box all their lives. Watch this film now.